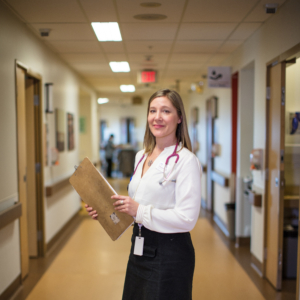 Victoria Hospitals Foundation enjoys a proud legacy of Island Health employee giving and we are honoured that so many of our caregivers and their families choose to make us one of their annual giving priorities. As an Island Health employee, you may choose to dedicate a portion of your paycheque towards the funding of critically needed equipment, or a specific area of care. Who can sign up for Employee Giving? Anyone who is a current employee of Island Health with a valid Island Health ID. How do I sign up for Employee Giving? You can sign up at any time by emailing Jeremy.Vosburgh@viha.ca. You will receive a confirmation email and see the deductions on your pay stub. How do I cancel Employee Giving? You can cancel at any time by emailing Jeremy.Vosburgh@viha.ca. You will receive a confirmation email and stop seeing the deductions on your pay stub. If you have any questions about Employee Giving, please contact Jeremy Vosburgh, Manager, Finance & Administration at 250-519-1750 or via email at Jeremy.Vosburgh@viha.ca. Thank you.